Brain Injury Attorney Dallas | The Ashmore Law Firm, P.C. The experience and expertise you need after an accident or injury. Every year 1.5 million Americans suffer from a brain injury and at least 80,000 suffer from a long-term disability as a result. Traumatic brain injuries account for an estimated 34% of all injury deaths in the United States. They can cause considerable emotional and financial burdens to the victim and the family. What can Brain Injuries result from? 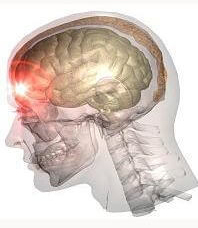 If you or a loved one has suffered from a brain injury, our attorneys can help. For more information, contact our office at 214-559-7202.